Canada's Jazmyne Denhollander edged out kayakers from Brazil and U.S to win gold in the women's slalom Sunday at the Pan Am Games. 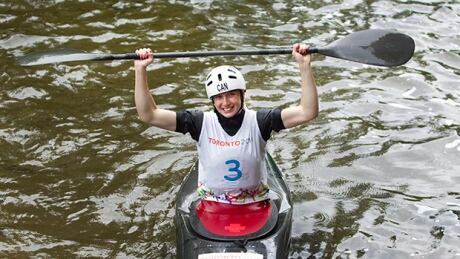 Four Canadian canoe/kayak slalom athletes have been named to the team competing at the upcoming Pan Am Games in Toronto, the Canadian Olympic Committee and CanoeKayak Canada announced on Monday. 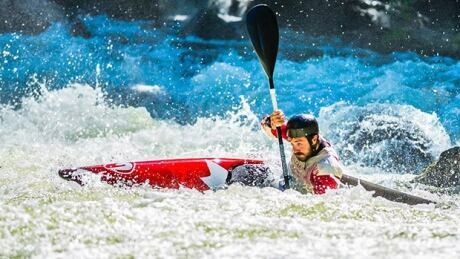 You are currently browsing the archives for the Sports/PanAm (Actual)/Canoe-Kayak-Slalom category.